Based on a short story by the acclaimed author of Little Women, Louisa May Alcott, comes a holiday story of family and forgiveness. 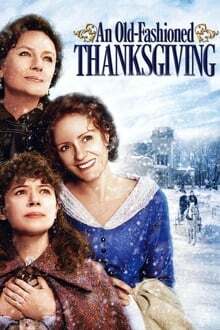 Recently widowed Mary Bassett (Helene Joy) and her three children have hit difficult times on their farm. Suddenly, Mary’s wealthy and estranged mother Isabella (Jacqueline Bisset) comes to visit upon receiving a devious letter from the eldest daughter. Mary resents her mother’s attempts to help them out of their financial difficulties. In the end, more than money will be needed to heal deep wounds and rampant scarlet fever of this period drama. We don't have any reviews for An Old Fashioned Thanksgiving.